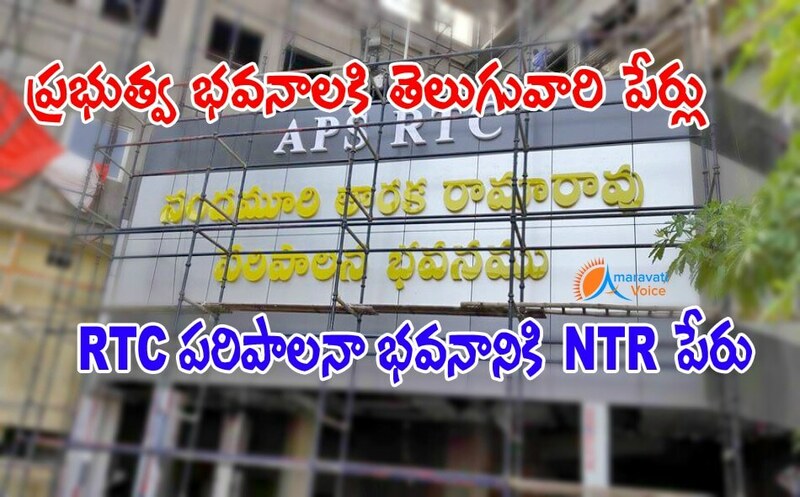 APS RTC administrative office which is coming up in Vijayawada Bus Stand, is named after Andhra Pradesh Ex-Chief Minister and Telugu's famous actor Nandamuri Taraka Ramarao. It is known fact that, many names of the important buildings in the state are named after non-telugu's. Even the present Vijayawada bus stand is changed from "Telugu Satavahana Pranganam" to Pandit Nehru Bus Stand. Majority of the citizens are also asking to change this name. But government is not willing to create any controversies and thought of keeping names for new buildings/offices after famous Telugu personalities. Many citizens are looking this as a good move.